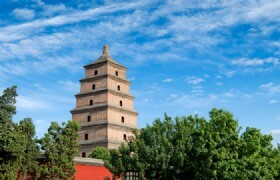 Explore Xian’s historical highlights such as Terracotta Warriors and Horses, the Ancient City Wall, the Big Wild Goose Pagoda and Great Mosque on this 5-day private tour. 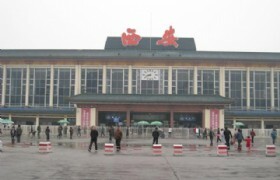 Take bullet train to Chengdu where you will visit the Changdu Panda Base. Your tour includes halal lunches and dinners, entrance fees, coach transfers and 4-star hotel accommodation. 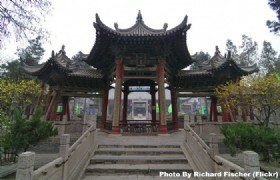 Detailed Itinerary: Upon arrival in Xian, you will be picked up at the airport by the guide and transferred to check-into your hotel. You are free for your own leisure for the rest of the day. 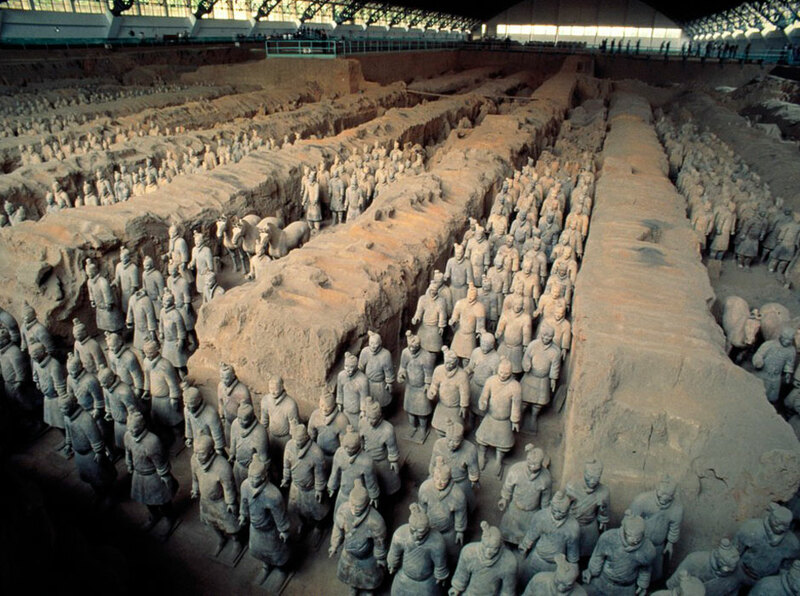 Detailed Itinerary: This morning you will set out to visit the world-renowned Terracotta Warriors and Horses. 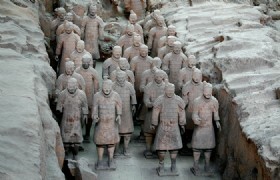 It is famed as “World’s Eighth Great Wonder” and the largest excavation of the 20th century. 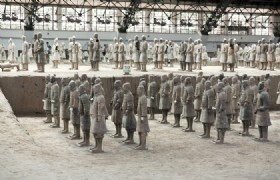 You will see artifacts of numerous life size terracotta figures of warriors and horses in different features, facial expressions, clothing and hairstyles arranged in battle formations. Electric car is included in the trip. 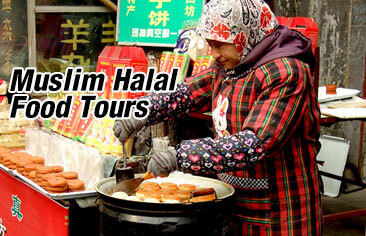 After you have finished your tour, you will be transferred back to downtown to visit Dongxin Street Mosque. Later you will be driven back to your hotel and have a good rest. 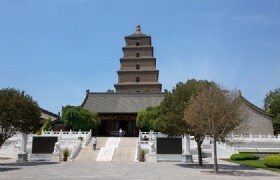 Detailed Itinerary: After you have finished your breakfast at the hotel, you will start your Xian city tour by visiting the Ancient City Wall, Great Mosque, Big Wild Goose Pagoda Square, the Musical Fountain, Bell and Drum Square, Luomashi, and Muslim Street. 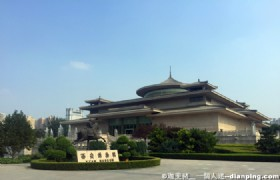 Detailed Itinerary: This morning you will visit Xian Museum and then proceed to Small Wild Goose Pagoda (closed on Tuesday). 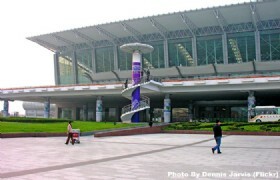 After lunch you will take the bullet train to Chengdu. 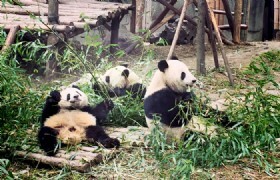 Detailed Itinerary: Today you will visit the adorable pandas at Chengdu Panda Base (battery car included). 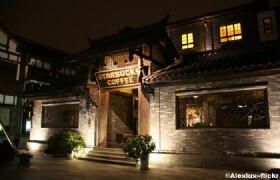 Then head to Jinli Street, and Kuanzhai Alleys to do some shopping. 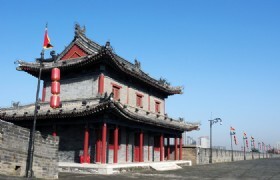 Your last destination is Huangcheng Mosque. After dinner, you will be transported to the airport for departure. Chengdu Research Base of Giant Panda Breeding: Chengdu Research Base of Giant Panda Breeding is the primary tourist destination to see giant pandas in Chengdu. 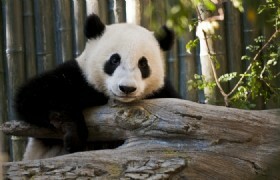 It is a non-profit research and breeding facility for giant pandas and other rare animals. 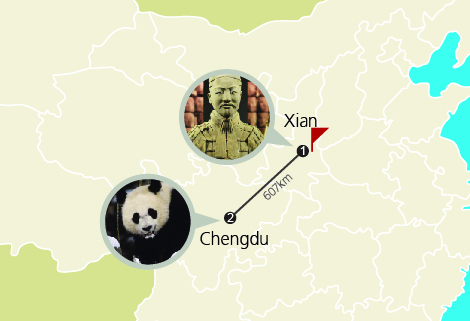 The panda base is located at Futuoshan Mountain in northern suburbs of Chengdu with only about 10 kilometers from downtown Chengdu, and can be reached within 35 minutes by taxi. Kuan Zhai Alley: Kuan Zhai Alley is one of the three historical and cultural reserves in Chengdu, together with Daci Temple Reserve and Wenshu Monastery. 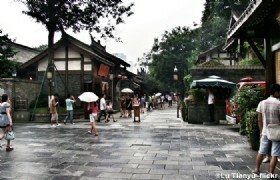 Jinli Street: Jinli Street that is located in the east of the Wuhou Memorial Temple is one of the oldest commercial streets in China, and the most famous street in Chengdu. As the must-see attraction when travel to Chengdu, Jinli Street is a great place to experience the authentic Chengdu culture, customs, and folk arts. Entrance tickets fees to scenic spots as listed in the itinerary. Meals: _4__ Halal lunches and _4__ Halal dinners. Private transfers between airport, hotel and scenic spots while sightseeing by private air conditioned vehicle with a driver and English-speaking guide. Guide service: English speaking tour guide. Hotel accommodation based on twin share. Bullet train from Xian to Chengdu (second class). Personal expenses: such as laundry, drinks, fax, telephone calls, optional activities, sightseeing or meals which are not included in the tour itinerary. * Prices may vary according to your travel time and are higher in the high season, e.g. Labor’s Day, China National Day Holiday, and Chinese Spring Festival. * Shopping stop: Terra-cotta replication factory.